LOW COST 1 TO 3 COLOR FULL COVERAGE PRINTED DISPOSABLE PAPER CUPS! Make your message stand out in color! 12 oz. 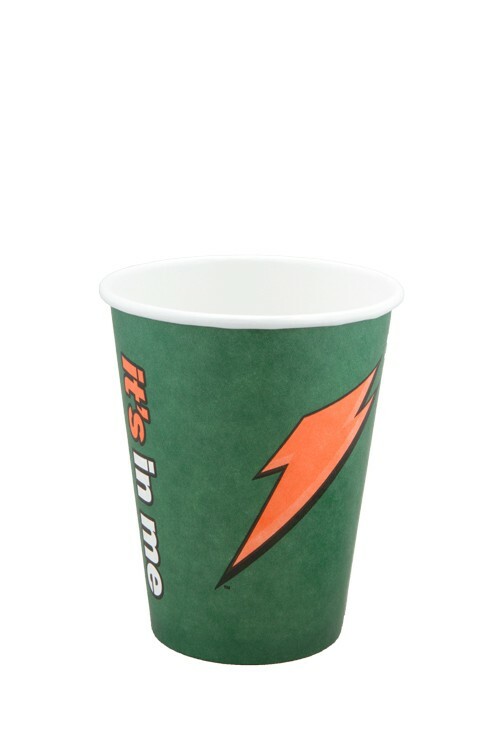 Paper Cup with a full wrap, full coverage imprint. Cups are printed before being formed which allows full imprint coverage in 1 to 3 colors + white. Minimum 30,000 pieces for this full wrap process. Only available in full case packs of 1,000 pieces. Made in USA. IMPRINT: 1 to 3 color full wrap/full coverage imprint. WRAPS: See “Options” tab above.